Yeah I know that this is possible via the custom field, but usually the built in genre used for Games is Accessories. I don't know, but this doesn't exactly fit imo. 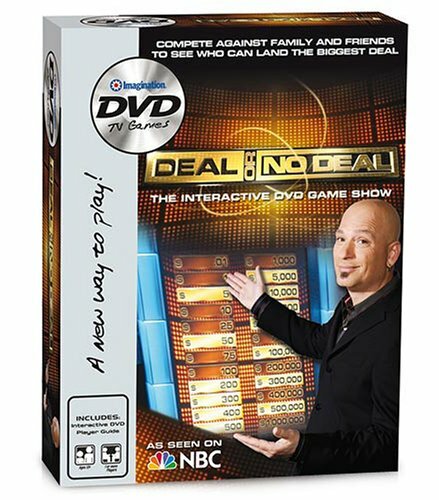 I have several Game DVDs in my database, including Deal or No Deal, Indiana Jones DVD Adventure Game, Jurassic Park: Explorer DVD Game, and Trivial Pursuit: SNL. When I think of Accessories I certainly don't think of games, I think of DVD Cleaner Discs and other gadgets/gizmos for DVD or blu-ray players. A Game Genre would be a more precise description of these. Accessories is just too vague. You can add custom genres, you know that, right? It's under Tools -> Edit Custom Genres. But what in the world is Accessories? I use Accessories for e.g. calibration discs. Okay, but how is a game an Accessory? Maybe I'm missing something here, but, why isn't custom genre the right answer. This is DVDProfiler not GameProfiler? If I'm out of line here, my apologies. I don't mean this as a dig or a cut. DVD Video, HD-DVD Video, and Blu-ray Video" discs (including MiniDVD): These discs contain movies, television shows, music performances and other professionally-produced and sold DVDs. No CDs, DVD-Audio discs, video games, Video CDs, or VHS titles will be accepted. These are not Video Games. These are DVDs that include a DVD that one plays on their DVD player and watches/plays on their TV. Think back to before DVDs when they had games using a VHS tape. These are what I'm talking about. Games is a much more better description for these than Accessories. When I look at the Accessories Genre in the Add window I see 77 titles. Most are Demo discs, home theater help, even a few Adult Genre and even a Lucy Show DVD. And when searching for DVD Game I see a few with Genres that include Family, Animation, Special Interest, Music, Action, Horror and even No Genres at all. It's very clear, at least to me, that it's unclear as to how to enter these DVD based games. Put it as simply as possible, these are Games. These other Genres being used for them is misleading and confusing and incorrect. Even if you believed these to be a different category (which I don't necesarrily agree)... don't you think that having a game genre would be at the very least confusing and making people think all games on DVD is allowed. No I truly believe that in this case using custom Genres is the best. No I don't think it would be confusing. 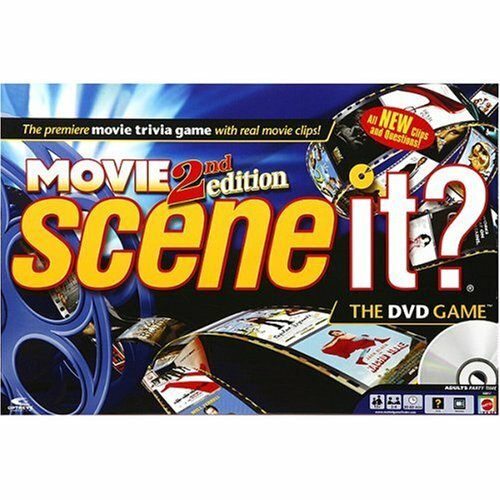 A very easy addition to the rules would cover what Games means, such as "Games genre is used for games using a DVD that plays on a standard DVD player and played on a TV. Not to be used for Video Games such as for Playstation or XBox." Just have to agree to disagree. For one I am not convinced these games don't fall under the same category as video games. Plus I do see the confusion it can cause. a game played by electronically manipulating images produced by a computer program on a television screen or other display screen. Sounds like they are all video games to me. So either way my vote for this one would have to be no. I agree that these game discs should not, per the contribution rule that Pete already quoted, be contributed into the database. I actually have a couple of these, and I never even considered adding them. I'm going to agree with Pete and T!M. These are games on video so...video games. Well, except that one does not manipulate images that were produced by a computer game. Every single one that I have played is usually hosted by a live person and one views a clip from a tv show or a movie and answers questions or is asked to something else, perhaps solve a puzzled still image or "What will happen next?". These certainly aren't computer created characters that one controls via a joystick. An example of a Scene It game. 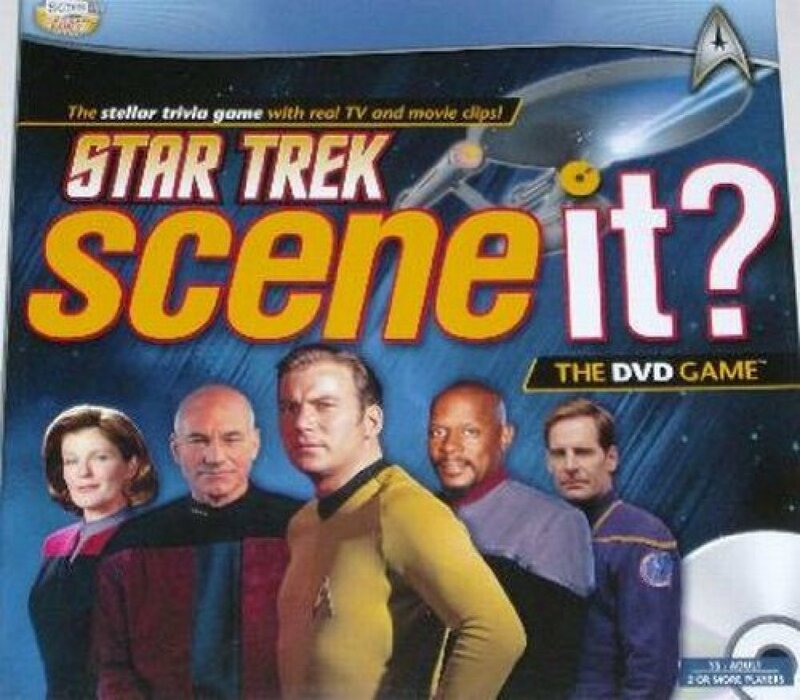 Which clearly shows that it's a combination of a board game and answering trivia games based upon audio or video clips from movies. How one can think that this is akin to a video game that one plays on a XBOX or a Playstation system is beyond me? 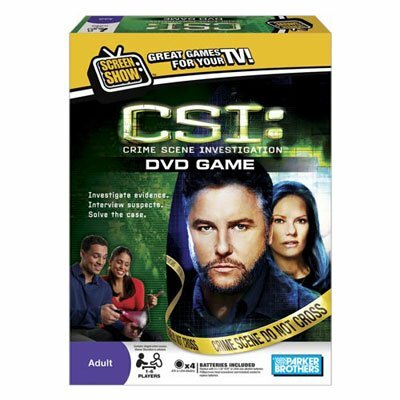 If anything it's very similar to interactive games found on some DVDs that we check the box for.